Fiona Barrow began the violin at 7 years old, happily surviving a classical training to move on to musical forms where foot-tapping is not reprimanded. Since then she has travelled far and wide, performing in bars, streets, boats, trains, caves, cathedrals and the odd roundabout! She has worked extensively in theatre as a performer, musical director and composer, including a sell-out run on Broadway and tours of Europe, Australia, and USA with Kneehigh Theatre Company. 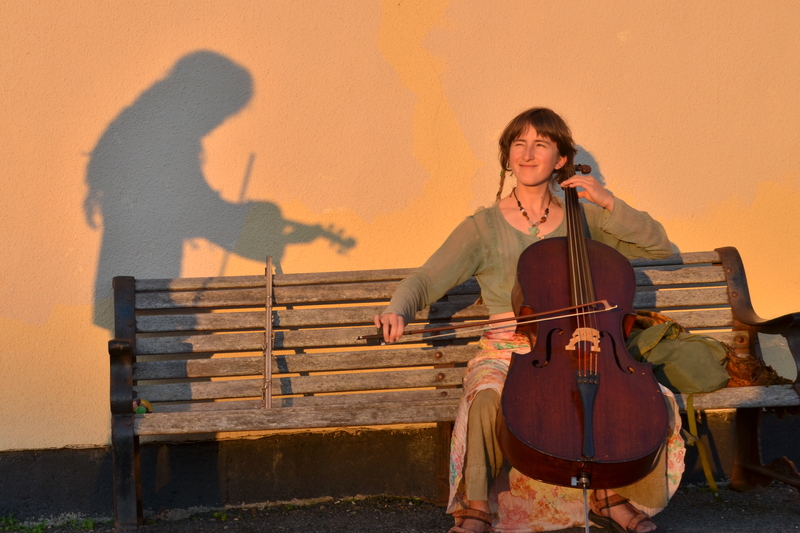 She has worked with a range of professional storytellers weaving music around the words of stories, and Fiona and Martin have collaborated on several successful storytelling projects over the last five years. Anne-Françoise Berthault is a singer-songwriter from Rennes, Brittany, who now lives in Aberystwyth, Wales. She began singing and playing guitar at the age of eleven and studied classical guitar for three years. Anne-Françoise performs original songs in English and cover songs in French. She also plays traditional Breton songs, including some a capella. Anne-Françoise has created some extraordinarily beautiful songs and melodies with the capacity to enchant and move audiences. An exceptionally fine vocalist, she uses the lyrical content of her songs to convey a wide range of emotions. She has a natural, charismatic stage presence and a quirky sense of humour. Anne-Françoise was awarded her own concert in the Great Hall at Aberystwyth Arts Centre, and gave a wonderful ninety-minute performance, drawing the largest audience to date for a local solo performer. Her other live performance have included playing at Aberystwyth Acoustic Platform, Aberystwyth Folk Club, Cwmaman Music Festival, Midsummer Madness Festival (Aberystwyth), Oxjam Brecon, RT Productions (Aberystwyth), Uplands Festival (Swansea), and award-winning London venues, The Halo, and The Troubadour. 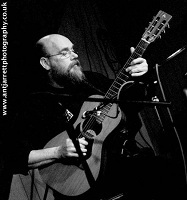 Anthony is regarded as one of Wales’ foremost acoustic guitarists. Born in Bangor, North Wales in 1948, he grew up in Aberystwyth, where, with his late brother David and Graham “Roachie” Jenkins, he formed the R&B group “The Shadrachs”. A long-time friend of Welsh guitarist Meic Stevens, he played guitar on Meic’s much-admired album “Nos Du, Nos Da”. 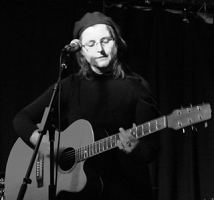 He also was a guest on Christie Hennessy’s top-selling Irish CD “The Box”, and has made a cassette recording with North Wales poet and writer Elizabeth Ashworth. Anthony is an acclaimed photographer, specializing in Welsh landscapes. His photograph of Cadair Idris was joint winner of Photography at the Llanrwst National Eisteddfod in 1989. He is the author of “Snowdonia, Myth and Image”, a book of vivid photographs and essays, visiting some of the most enchanting locations throughout Snowdonia. Published by Y Lolfa 1993; Reprinted 1999 ISBN 0 86243 276 6. Anthony has recently collaborated with John K. Bollard on a new trilogy of translations of the Mabinogi, the ancient Welsh Legends. These beautiful books are liberally adorned by Anthony’s photographs of places relevant to the stories in the Mabinogi. The books are published by Gomer. Classically trained and now somewhat untamed, Ailsa Mair Hughes has spent a lot of time since the age of seven deciphering complex black dots on paper – and less conventional musical notation – but now mainly improvises and plays by ear. She writes her own songs for cello and voice, creates evocative soundscapes to go with other people’s stories, plays with Zimbabwean-music-based group the Ombiviolum Orkestra and makes mixed fruit jam with various musicians, including Pixy Tom in their newly-formed duo Mackerel Sky. Her past musical experiences include sitting half way up a lime tree with her cello playing for an aerial silk fairy, and standing up for over 2 hours in the Royal Albert Hall singing Messiaen as an alto in the BBC National Chorus of Wales. Ailsa tried moving away from Aberystwyth to Bristol in Autumn 2010, but the coastal town’s mystical gravity – which many before have experienced – has already transported her back there. She also performs with Pixy Tom as Mackerel Sky. Take an accordion, guitar, four fiddles, mandolin and mandola. Mix well and add a touch of electric bass. Apply liberally to a tasty selection of Breton and French dance tunes. The perfect recipe for a full-flavoured Fest Noz! Kantref are Annette Davies (who also teaches Breton and French dancing), Geoff Liles, Pete Damsell, Ken Humphreys and Gwilym Hardy. 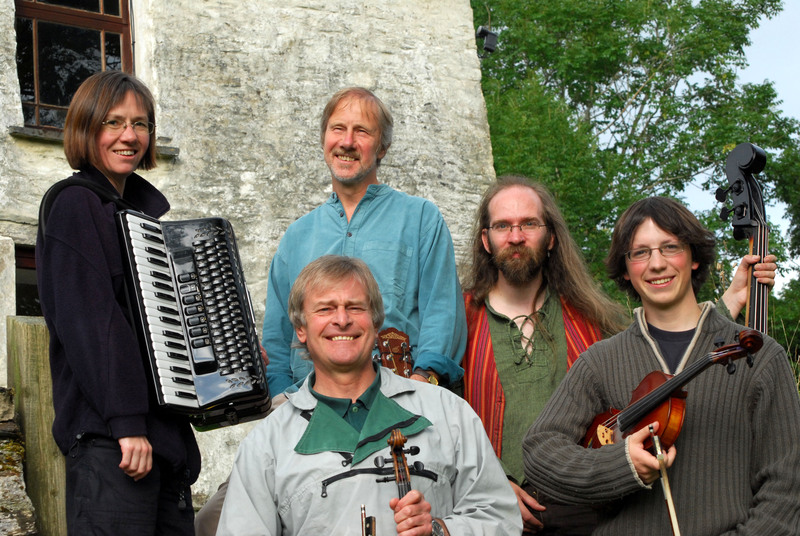 Based in mid-Wales, they play regularly for dancing at the Llanbadarn Fest Noz, Aberystwyth, and have appeared at festivals up and down Britain. “Everyone was unanimous in agreeing Kantref gave us one of the best Fest Noz sets we’ve had since Cwlwm Celtaidd began” – Derek Smith, Cwlwm Celtaidd Festival Director. Antje grew up in a household teeming with stories from the past. She spent the first third of her professional life analyzing and teaching stories academically, until she realized how far this had led her away from what had moved her about words in the first place. She started working with survivors of domestic and sexual violence, learning to listen in such a way that words could be found to speak the unspeakable. Since 2004 she has been an alternative health care practitioner in private practice in three countries, focusing on mind-body medicine. She is interested in how words and stories can heal and speak our truth. Antje runs the Aberystwyth Craniosacral Clinic and is a member of the Yarn Storytelling Group. 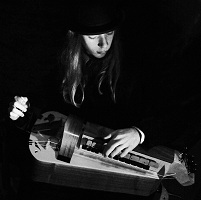 Pixy Tom also performs with Ailsa Mair Hughes as Mackerel Sky. 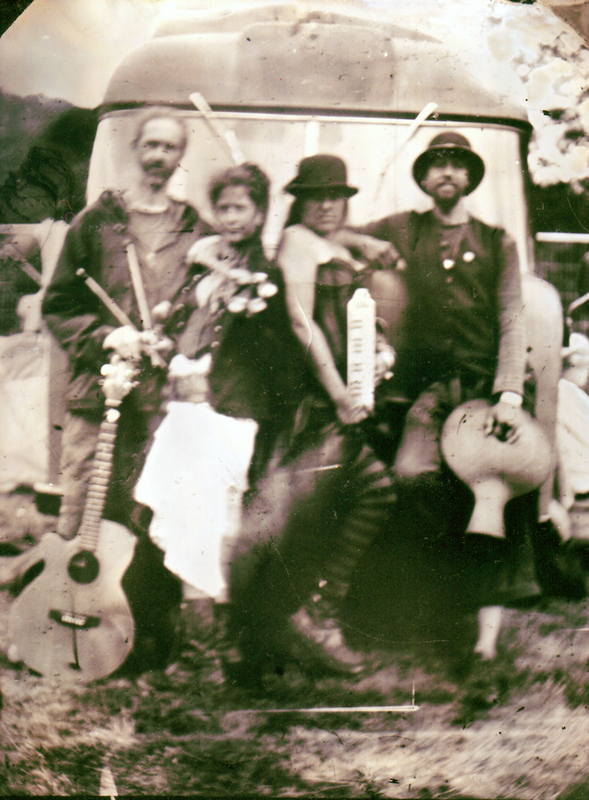 Quercus Burlesque….a four piece ragamuffin band of musical ne’er-do-wells bring you stories, rants and musings….unrepentantly irreverent, sometimes saucy, and always in a category of their own creating.